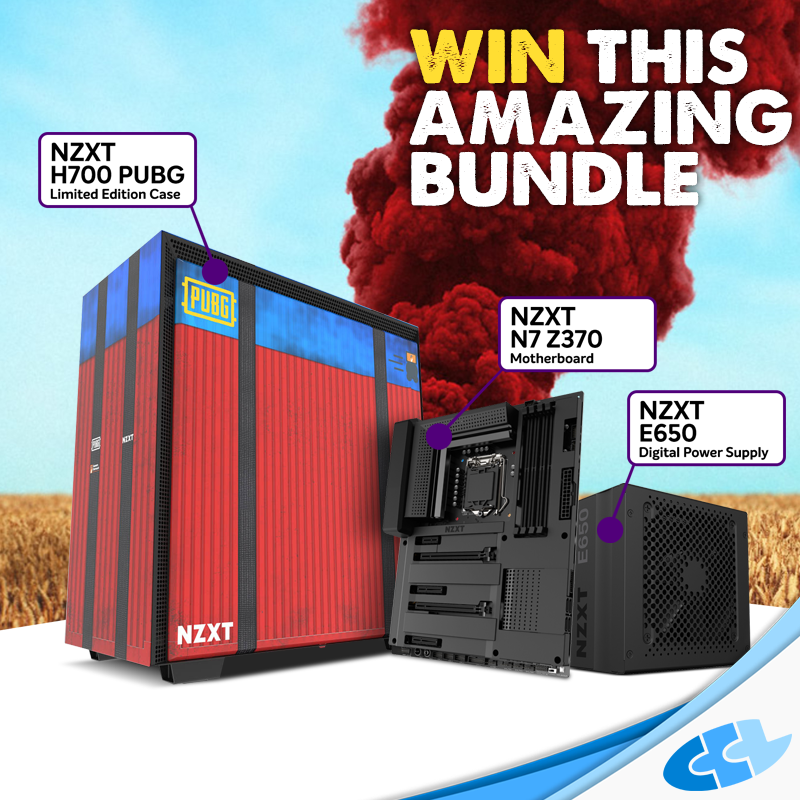 Enter to win a LIMITED EDITION NZXT H700 PUBG case! You've got to be in it to win it! The limited edition NZXT H700 mid-tower case is styled to resemble the highly contested in-game 'Airdrop'. The case features a premium all-steel construction with the unique H-series design. Tempered glass panel showcases the internals where the NZXT N7 Z370 motherboard certainly will not look out of place! Power it on with the new E series ATX 80+ Gold rated power supply.